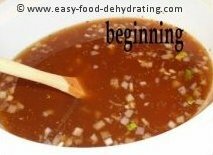 Try your hand at this classic lentil soup - slow-cooked to perfection - with dehydrated onions and carrots! 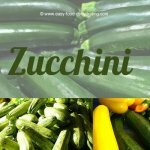 If you wish to make your soup, or any of our other recipes, with fresh ingredients, consider getting our RECIPE eBook. 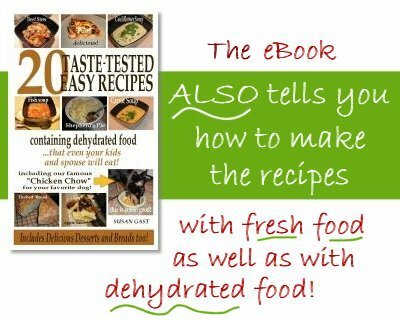 It lists the fresh ingredient quantities in lieu of dehydrated food amounts. Thanks. 3. Make the vegetable stock (while the items re-hydrate) and then let the stock cool down a bit so you don't shock your crock(pot)! 5. Add the seasonings and olive oil, stir with wooden spoon. Come Home to a Delicious Meal! Cook in the slow cooker/crock-pot on low heat all day – about 7 hrs – and you come home to a delicious ready-cooked meal! And you deserve it! As an alternative to the brown lentils, try splurging on the orange lentils! It tastes just a little bit different, and is a warmer shade than just plain-looking brown. 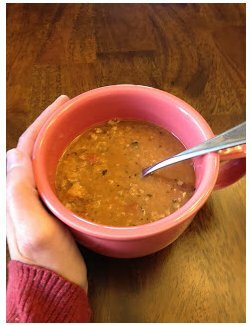 I love making these easy soups because not only do they taste great, they are very filling, and they are easy on the wallet. This huge batch of soup should feed six people, with a sandwich on the side. 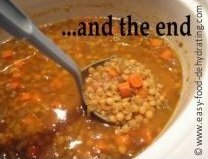 When the soup is fully cooked, there should be no crunch to the lentils at all, they should simply melt in your mouth! Grab that slice of bread and butter too! Have you seen our "Bake Your Own Bread" recipe on our site? You haven't? Well here it is! You won't believe how easy this bread is to make. Check out my photos showing the different stages in the bread-making process. 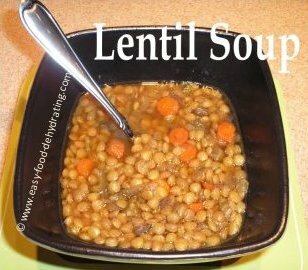 Please visit "Dinner's Already Done"
and read about Elese's super Turkey Lentil Soup!